Cabinet file photo The 2016 Rotary Swim Meet brought swimmers from all over southern New Hampshire and northern Massachusetts. More than 500 young people and their coaches and parents will descend on Keyes Memorial Park this weekend for Milford’s biggest athletic event of the year. 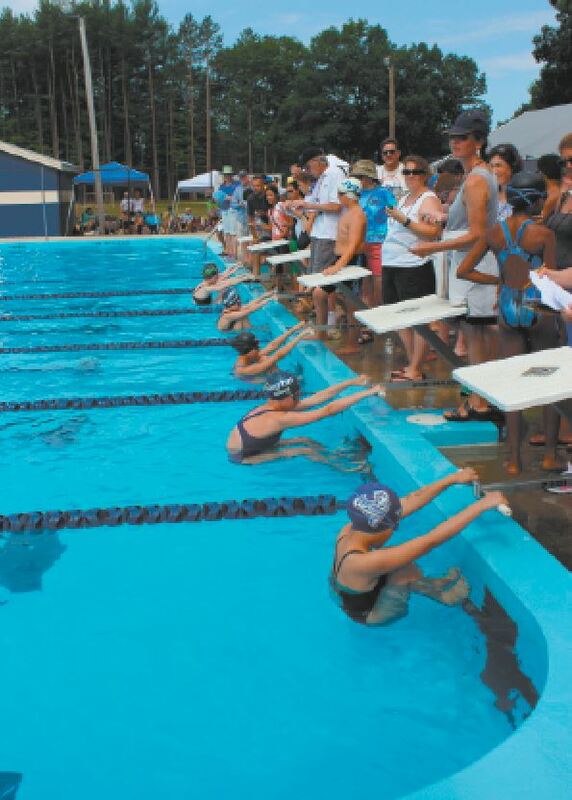 The Milford Rotary Club’s Swim Meet will have 15 teams from all over southern New Hampshire and northern Massachusetts. 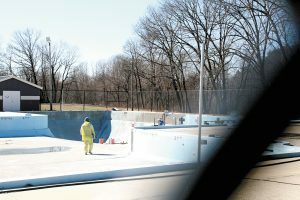 It’s an annual event that started in 1966 to celebrate the opening of Milford’s pool, and this year it celebrates the reopening of the entrance to the park, closed for more than a year during the Fletcher Paint Superfund cleanup of adjacent property. This year’s chairs are Janet Langdell and Tim Finan of the Rotary Club, with Jim Rezzarday as meet director for the Granite State Swim Association. 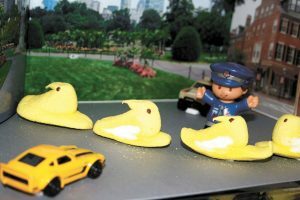 But the meet, which has no entry or admission fees, depends on wide support, Langdell said, from the Recreation Department, Public Works, other Rotary members and local businesses. For swim teams that are part of the state association, this is one of the sanctioned meets, but Rotary also invites teams that are just summer swim programs and not part of the state swim association, including Wilton’s Goss Park. Any big event means a lot of planning. 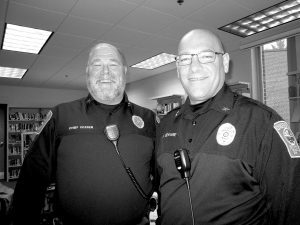 Langdell estimates 390 hours of work for Rotary members. Planning for the following year starts right after the meet, but after so many years, “we pretty much have it down pat,” she said. Rotarians sell swim suits, goggles, T-shirts and other necessities. They arrange for the design and production of commemorative T-shirts and they sell food from their Rotary Chuck Wagon. The Milford High School Music Booster Club sells ice cream and other cold treats. Indispensable, said Langdell, are the entry chairpersons, Becky Anderson and Pat Whalen who for the past few years “slave away” entering swim data into a computer. This year’s meet is dedicated to Mark Lawrence, a Winchendon, Mass. swim coach who died last summer at 51.